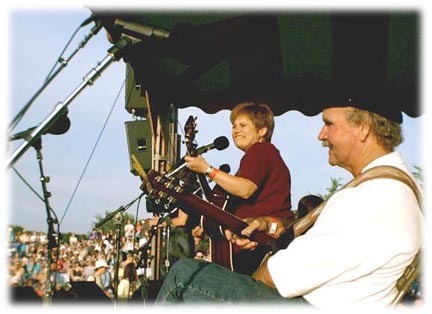 camille had a wonderful time at the 1999 great hudson river clearwater revival. 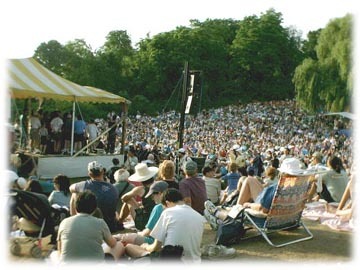 the weather was perfect, the performers were outstanding and the volunteers made everything run smoothly. the best part was getting up on stage with friends old and new. 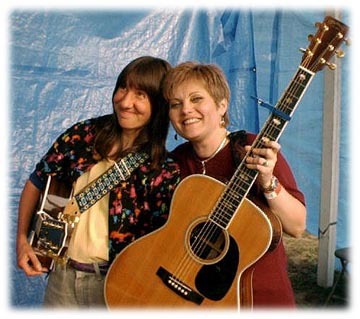 here camille and nancy tucker are getting ready to hit the stage for the funny song workshop. the audience was huge with funny song lovers as far as the eye could see. here a group of "sensitive new age guys" got on stage to help christine lavin sing the song of the same name. 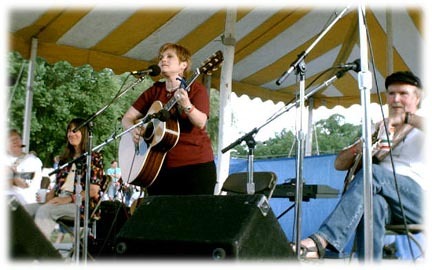 here's camille on stage with (from left to right) christine lavin, nancy tucker and tom paxton. ation of it at the same time. here camille tries to regain her composure.